Welcome to Trucks! 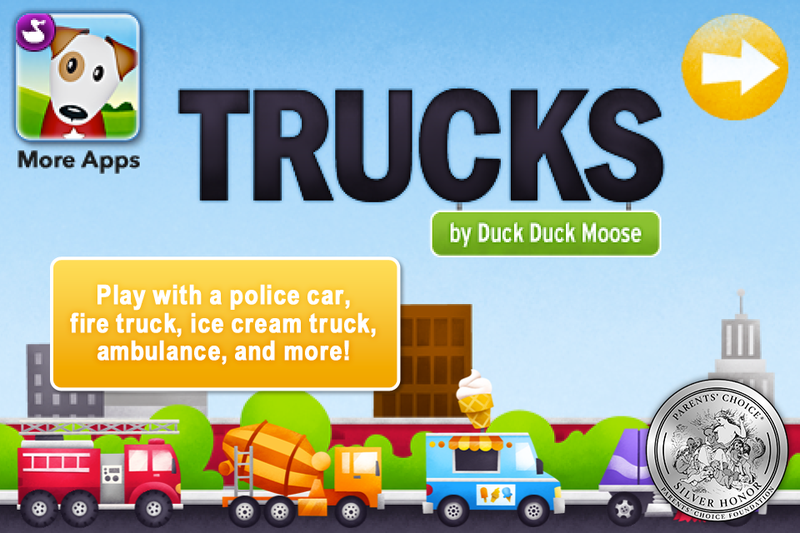 Trucks includes 5 different activities: Soap and rinse a car in a carwash, drive a garbage truck, tow a car with a tow truck and fix a flat tire, dump dirt with a dump truck, and play with a car and truck parade. 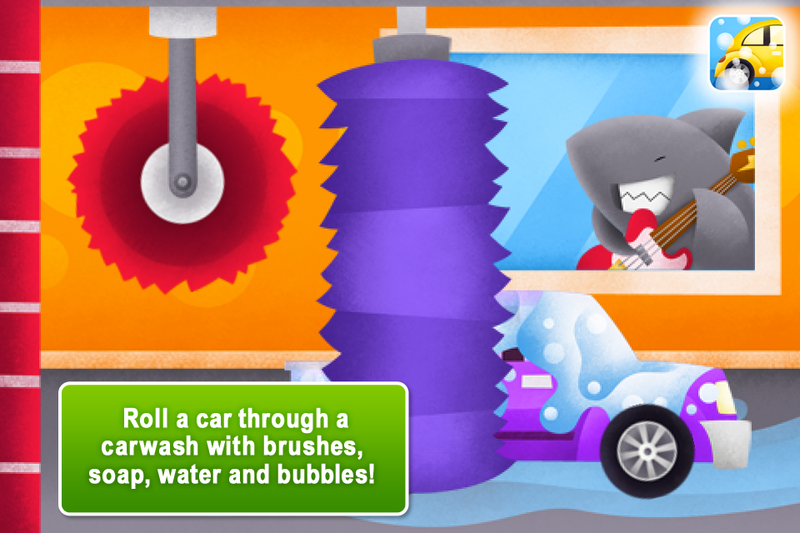 CARWASH: Roll a car through the mud, and into a carwash! Clean the car with brushes, soap, and bubbles. Squirt water jets to rinse off your car then dry it off. TOW TRUCK: Help fix a flat tire. Use a tow truck to take a car to the tire shop. 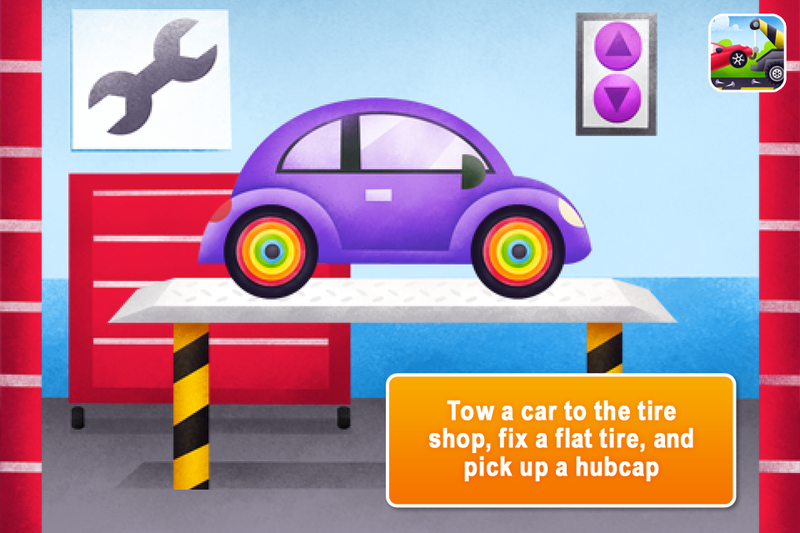 Raise the car up to a platform, change the tires, and choose the hubcap you want! GARBAGE & RECYCLING: Clean up the street and sort items into garbage, compost, and recycling bins. 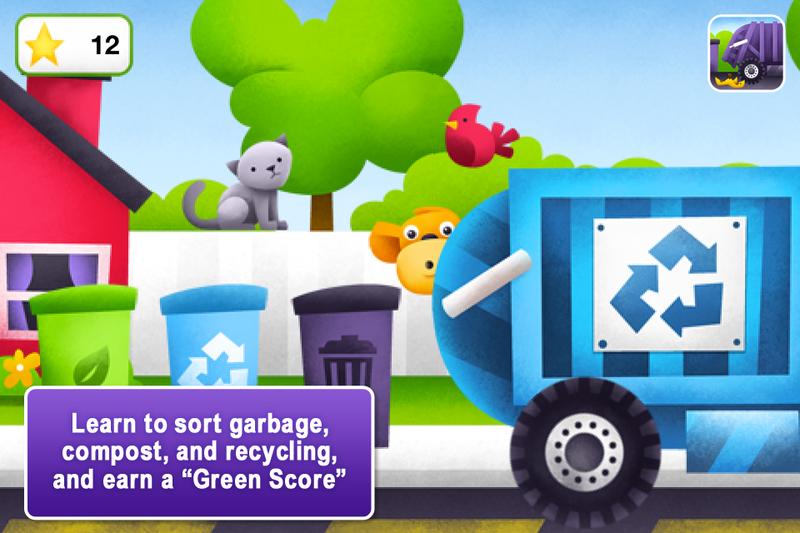 Learn about garbage and recycling and earn a “Green Score.” Dump the correct bin into the garbage, recycling, and compost trucks. 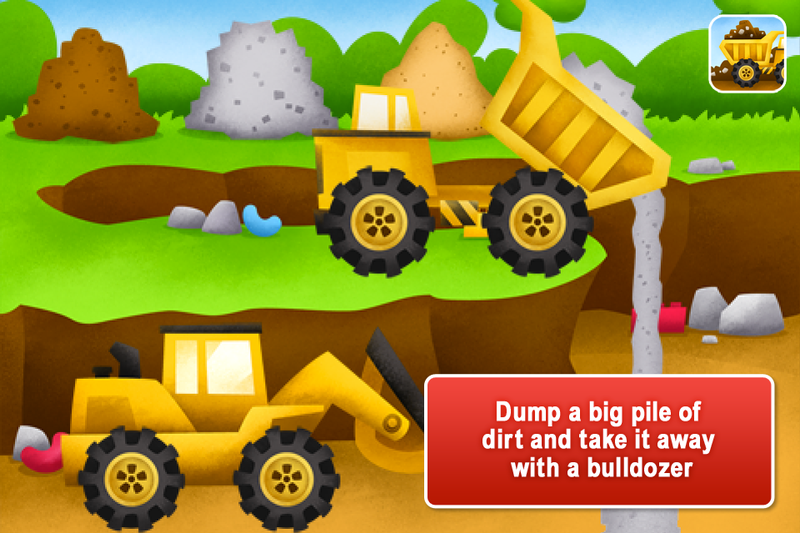 BULLDOZER & DUMP TRUCK: Use the dump truck to create a pile of dirt, then take it away with a bulldozer. CAR PARADE: Play with a fire truck, ambulance, ice cream truck, cement truck, police car, and much more! Control their speed with by touching the red, yellow, and green signal lights.